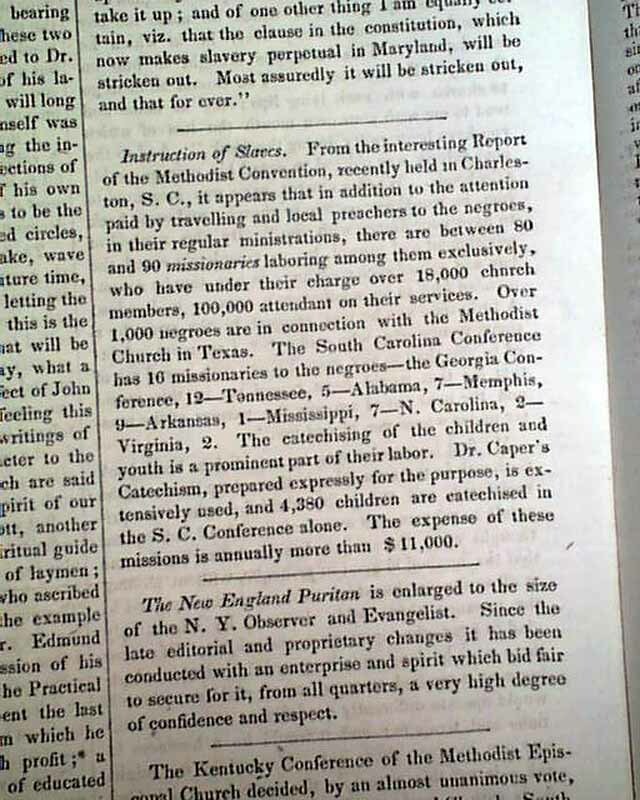 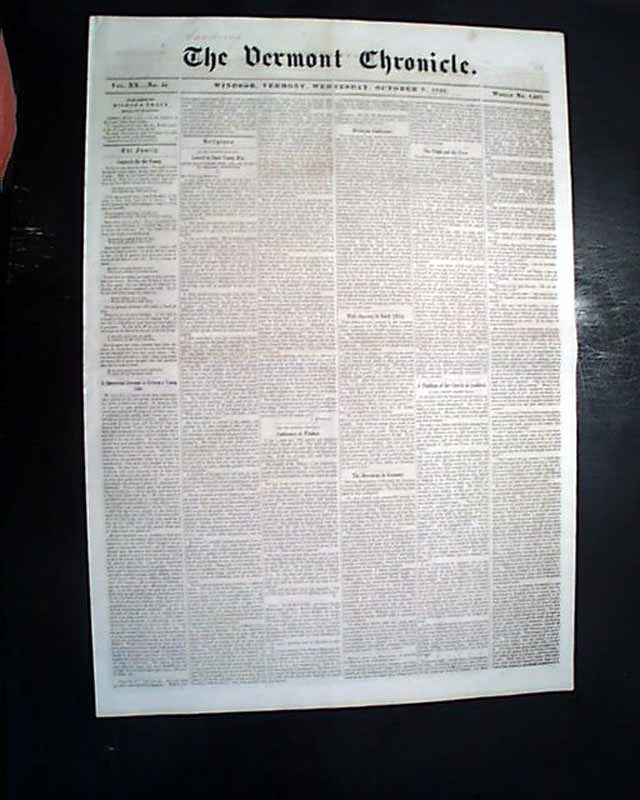 Page 2 has; "Anti-Slavery in Maryland" and "Instruction of Slaves". 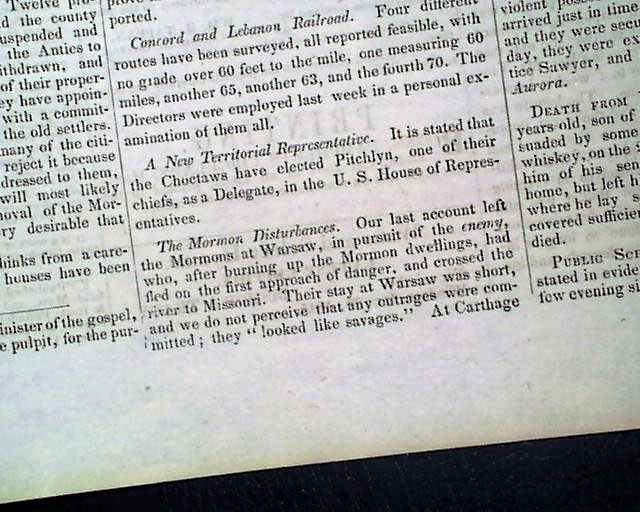 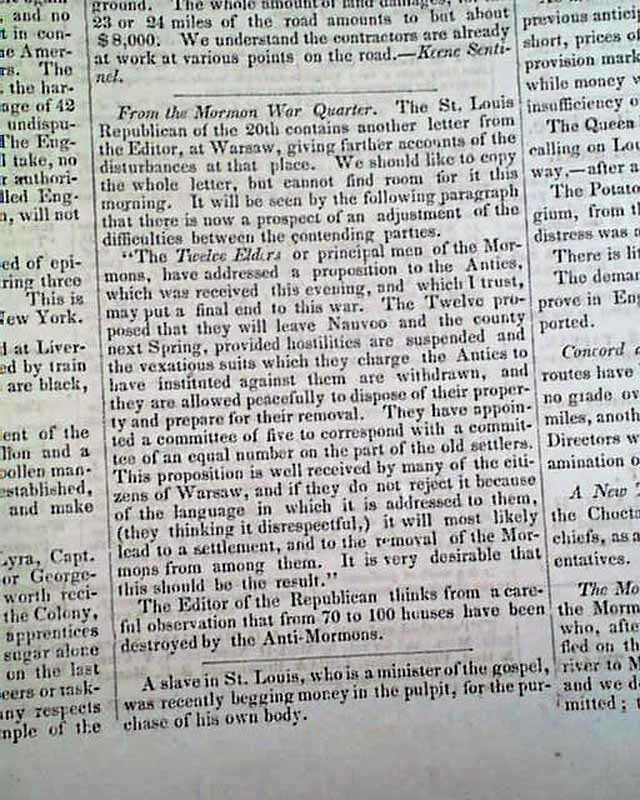 Page 3 has: "The Mormon Disturbances" which begins: "Our last account left the Mormons at Warsaw in pursuit of the enemy who, after burning up the Mormon dwellings, had fled on the first approach of danger & crossed the river to Missouri..." and more which takes one-third of a column. 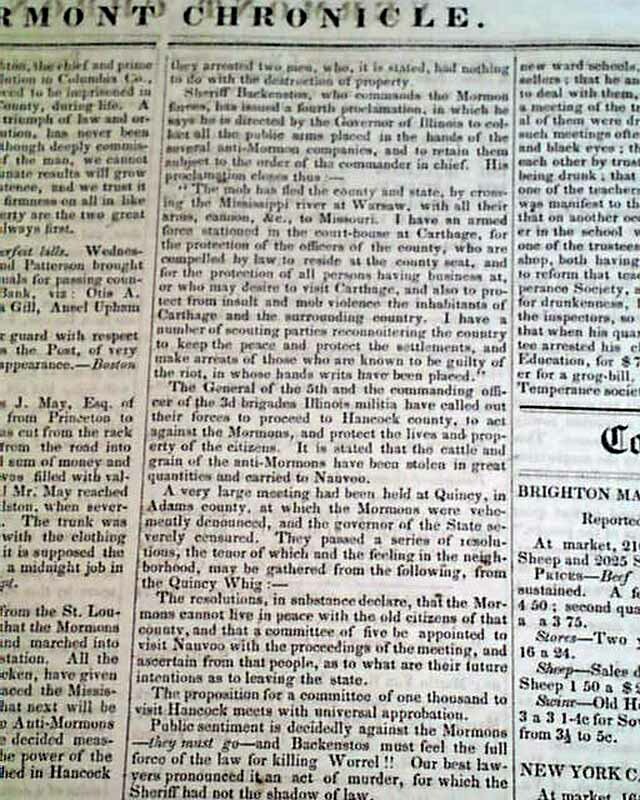 Another article is headed "From the Mormon War Quarter". 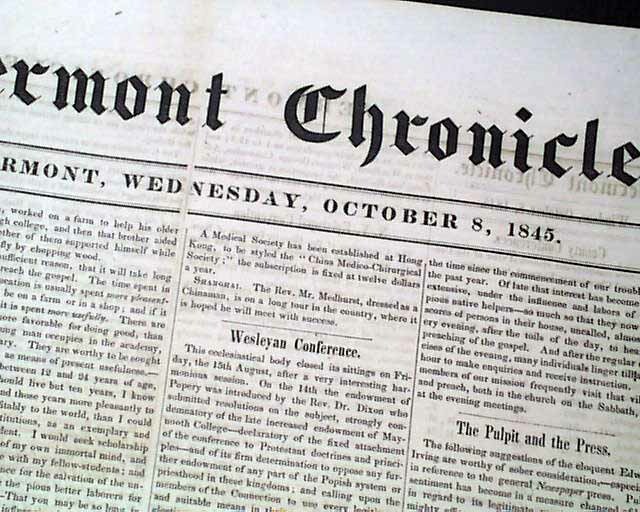 Four pages, rejoined at the spine, nice condition.